The WOW hall is a non-profit educational arts facility. There are several areas open to your volunteer participation here at the hall, including: show security, stage and lights, publicity, maintenance, office work, and many other areas (limited only by your imagination!). We are able to offer students credit for their volunteer work when arranged through the University of Oregon or Lane Community College. Community service assignments can also be completed through our volunteer program. 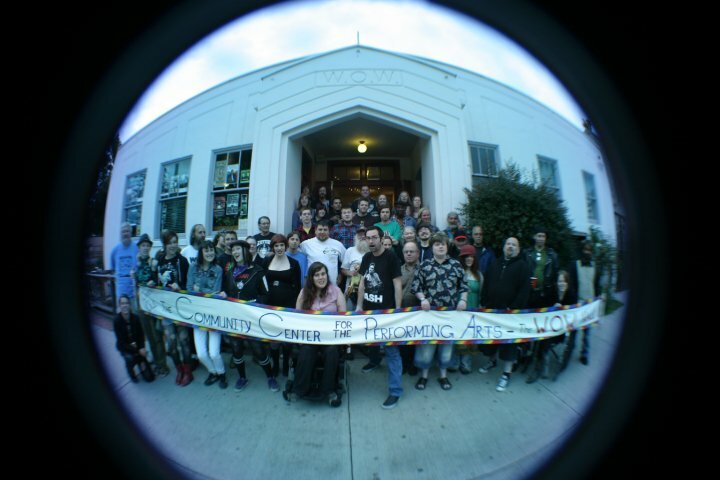 The WOW Hall/CCPA always needs new volunteers. There are typically between 14 and 22 security shifts to be filled at each show. The best way to get plugged in is to come to one of our volunteer orientation meetings. They happen monthly and will cover all aspects of being a volunteer. What do volunteers do at the WOW Hall? Volunteers make the WOW go round! Every Aspect of our operation benefits from volunteer energy. Volunteers represent the hall in a variety of positions. "Pure Volunteer" hours can be accumulated by working in areas other than show shifts. 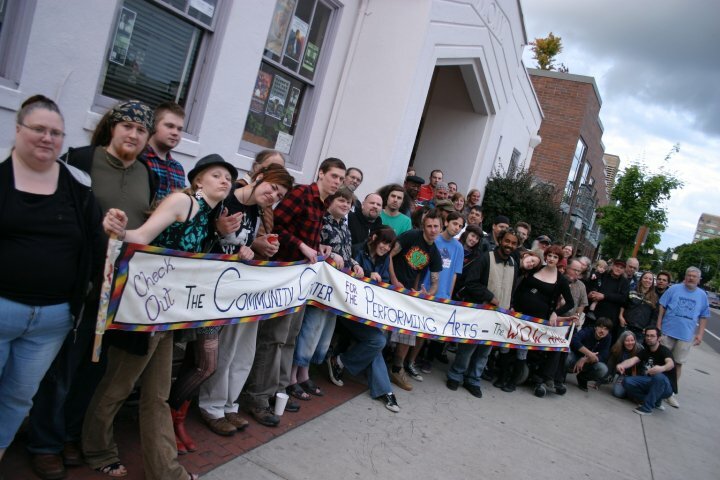 Once 10 pure volunteer hours have been worked, you become a volunteer member of the CCPA. Membership makes you a part owner of the WOW Hall. Members receive our newspaper, vote for the Board of Directors, are eligible to run for our Board of Directors, and attend the annual membership party free. Volunteers are always welcome during office hours, Tuesday through Friday from 3:00 to 6:00 PM. The office manager, publicist and membership coordinator, will always be happy to help you find work. Tasks include answering phones, organizing membership information, and preparing outgoing mail. This is a great way to get an inside view of the business operations of our venue. An excellent opportunity to improve journalism skills is by writing stories for our in-house newspaper "Notes From The Center". Contact publicist Bob in the office and see your work published. The maintenance supervisor has many projects for those interested in maintaining our historic building. This is a great way to learn every nook and cranny of the WOW Hall. Many volunteers create their own way of making their contribution and developing their abilities. Volunteers landscape, direct the art gallery, underwrite performers, initiate improvement projects, and so much more. Your volunteer contribution is limited only by your creativity.